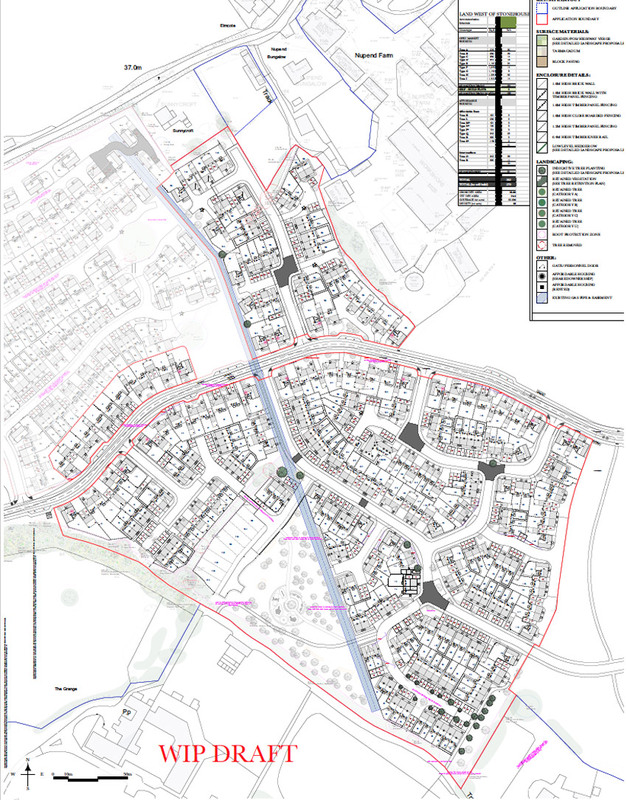 In April 2014, Robert Hitchins Limited submitted an outline planning application for the development of Land West of Stonehouse, Gloucestershire. The application is for “A mixed use development comprising up to 1,350 dwellings, 9.3 hectares of employment land for Use Classes B1, B2 and B8; a mixed use local centre comprising Use Classes A1, A2, A3, A4, A5, D1, D2 and B1; primary school, open space and landscaping, parking and supporting infrastructure and utilities; and the creation of new vehicular accesses from Grove Lane, Oldends Lane and Brunel Way.” The application is made in outline with the principal points of access not reserved. All other matters are reserved for subsequent approval including the internal road layout. The outline application was approved in April 2016. Reserved matters permission was received on 8th June 2018 for Barratt and DWH. The A419, which adjoins the M5 Motorway at Junction 13 approximately 800m to the west, forms part of the southern boundary with Nastend Lane, with the small settlement of Nastend also bounding the application site to the south. To the west the application site boundary follows Grove Lane extending north to the settlement of Nupend; further again to the north the application site is bounded by agricultural land. 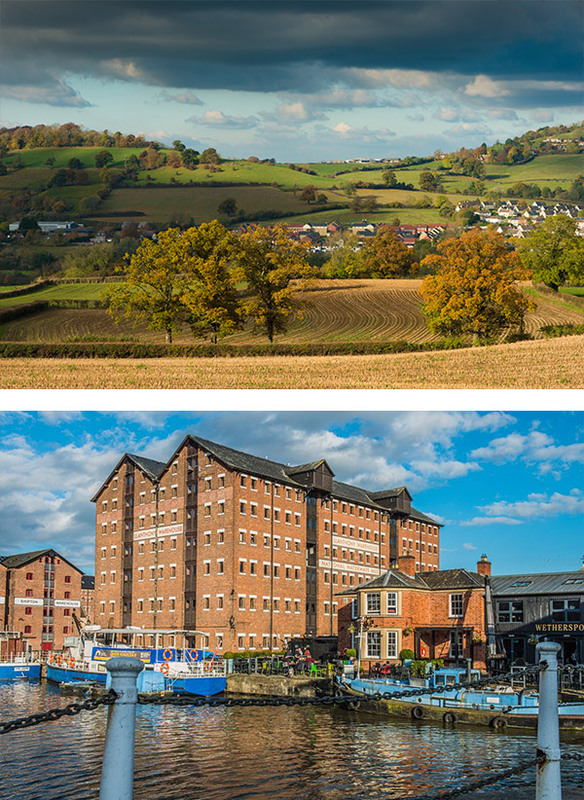 The site covers approximately 98 hectares predominantly comprising agricultural land to the west of Stonehouse and Stroud where the deeply incised valley of the River Frome opens out into the Severn Vale. The application site is bound to the east by the Bristol to Birmingham railway line, to the southeast by the small settlement of Nastend and the Oldends Industrial Estate. In the west the site extends to Grove Lane and the village of Nupend, whilst the northern boundary is bounded by agricultural land. The application is being made by Barratt and David Wilson is to parcels H3, 4, 5, 8, 9 & 10 as shown on the outline masterplan which are parcels to the West of the site. Many pre app discussions were had with Stroud District Council and also with local residents to discuss the scheme. Following on from these discussions changes to the layout were made, and following this an application was submitted in February 2018 for the erection of 270 Barratt Homes and 138 on the David Wilson scheme. These will consist a mix of 1-4 bed homes, with 30% allocation for affordable housing and a 5% allocation for self build plots of land. The application is registered under reference S.18/0259/REM (Barratt application) and S.18/0275/REM (David Wilson application) with an expected decision to be made in May 2018. The application is registered under reference S.18/0259/REM (Barratt application) and S.18/0275/REM (David Wilson application) with an expected decision to be made in June 2018.